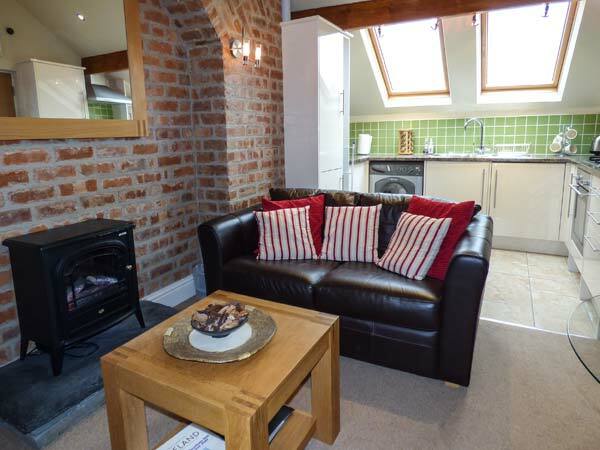 Bluebird Loft is a perfect, second floor apartment set in the centre of the popular village of Coniston in the Lake District and can sleep two people. There is a king-size bedroom with an en-suite bathroom and an open plan living area with kitchen, dining area and sitting area with an electric fire. Outside there is roadside parking outside the apartment and lockable bike storage. Bluebird Loft is a lovely base for your relaxing holiday. All second floor. One king-size double bedroom with en-suite bath, shower over, basin and WC. Open plan living area with kitchen, dining area and sitting area with electric fire. Gas central heating with electric fire. 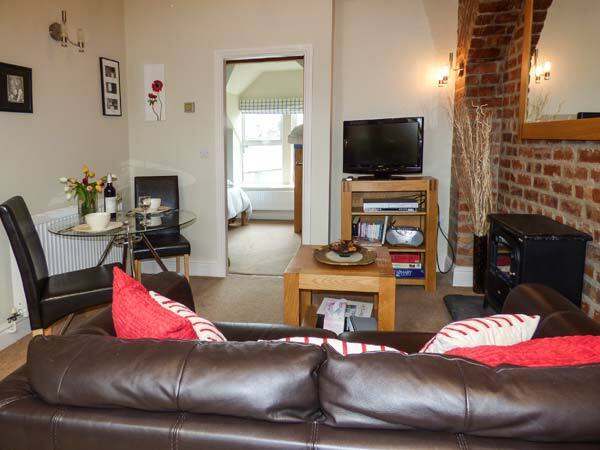 Electric oven, gas hob, microwave, fridge, washing machine, TV with Freeview, DVD, CD, radio, WiFi. Fuel and power inc. in rent. Bed linen and towels inc. in rent. Roadside parking outside apartment. Lockable bike storage. Sorry, no pets and no smoking. Shop and pubs 1 min walk. Note: Shared access with Ref 21912. Note: Property not suitable for children or infants. Note: this is a top floor apartment and not suitable for people with health or mobility issues. Note: This property can only accept holidays that start Friday or Monday.